The Florida-Florida State rivalry is one of the fiercest in college football, but that didn’t stop these two lovebirds from realizing their fate. Despite their division on college football weekends, Ryan and Kristen’s relationship grew and they made their long distance relationship work. “When you two people who truly mean the world to one another it’s obvious. Ryan and Kristen displayed that love and then some. It came naturally, it was beautiful, it was perfect, it was love!” says Charlie. 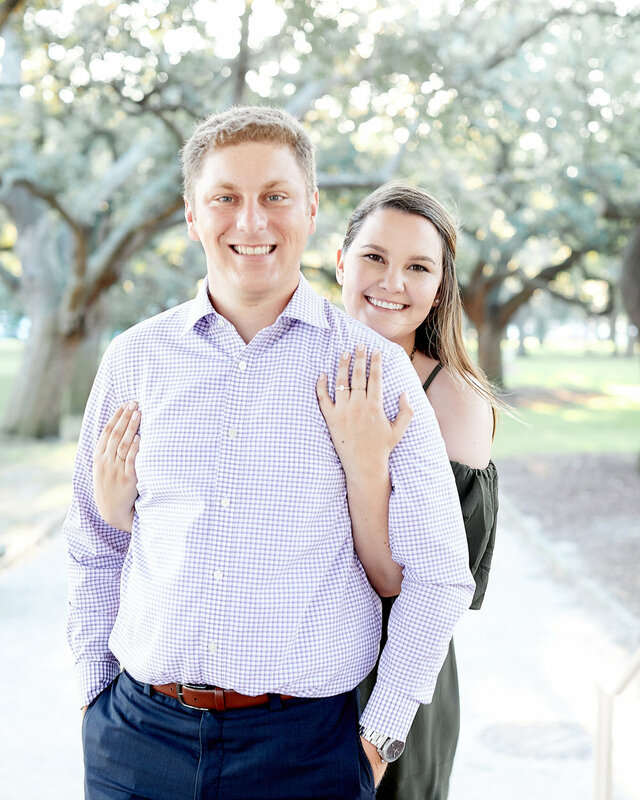 In a fun filled few days in Charleston, Kristen and Ryan had gone out to eat, wandered through the historic district, and met up with friends. Their last day in Charleston was to be a laid back Sunday with dinner reservation at 82 Queen and a carriage ride. 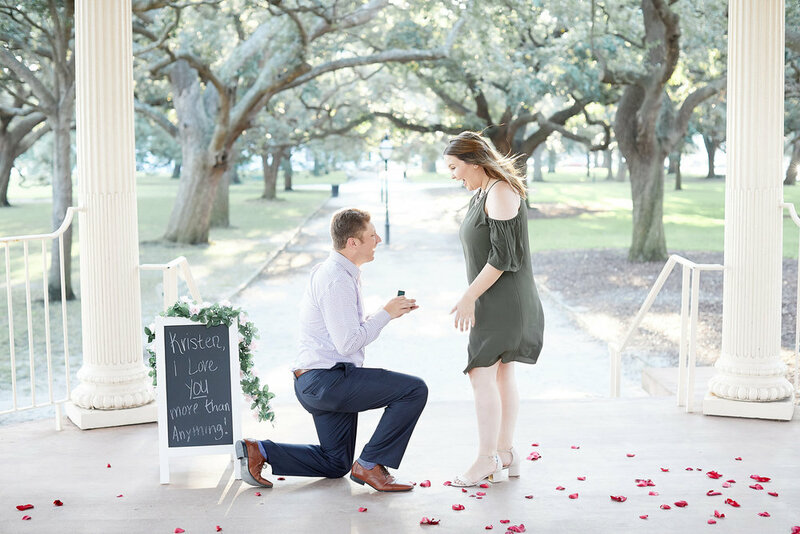 There was last minute glitch when the carriage ride ended several blocks from White Point Garden, and the planners had to scramble to get the couple to the engagement spot without arriving irritated and sweaty (it was August in Charleston—we’ve all been there!). As Charlie moved into place to photograph the engagement, Ryan led Kristen along a pathway where he and Charlie had placed handwritten chalkboards. “She like every other couple walking by and reading the boards assumed they were for some other lucky girl. Clarity finally set in when Ryan and Kristen reached the final board at the Gazebo in the center of the park,” says Charlie, and that’s when Ryan dropped to one knee and popped the question.